We love the hustle and bustle of a thriving metropolis – especially when it welcomes visitors with a unique take on fashion, design, and culture. Tokyo continues to raise the bar in all of these areas, but at the same time can be quite demanding on visitors: Starting with proper use of chopsticks, to follow social rules and etiquette, handling money and finding your bearings amidst unfamiliar signage – it’s easy to feel lost in translation in this Mega City. At the same time, Tokyo happily rewards your efforts with a wealth of unforgettable impressions and experiences. 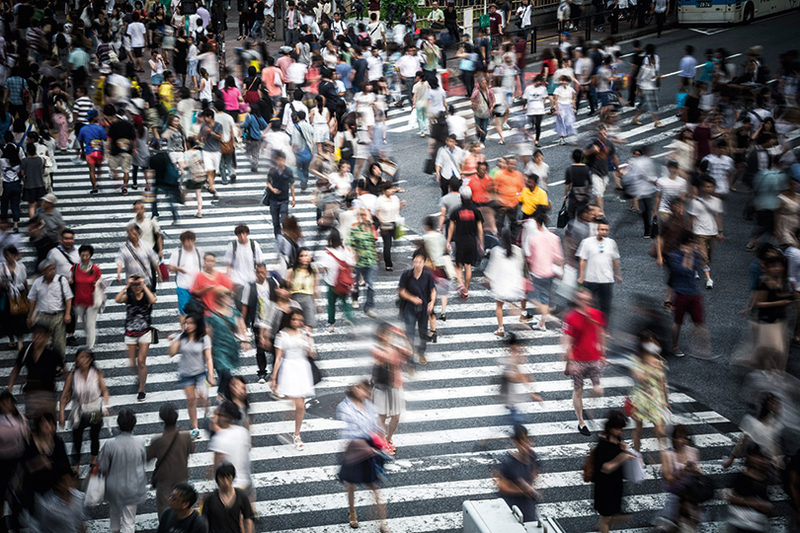 And when it comes to design, Tokyo is part of an elite league of cities and serious contestant for the world championship title – not just for eyewear. What’s more, the streets are always clean, trains run on time, and people are constantly friendly, which not all of the world’s major metropolitan cities can rightfully claim (we’re talking to you, New York and Paris!). Visitors are best advised to board their plane to Japan with an empty suitcase, as shopping opportunities abound: The Japanese capital offers countless top notch concept stores which not only encourage treasure hunting, but also provide unique opportunities to stock up on quintessential Japanese goods. Supplementing the shopping experience, all these stores offer their own striking interior decorations and interiors, which also goes for the city’s optical shops. In order make the most of Tokyo’s optical offering, we suggest setting aside an entire day, ideally even two days, to roam the local optical scene. And to put a special spring in your step, we have compiled our unique Tokyo Optical Guide with all the essentials you need to keep your eyes open on shopping trips. 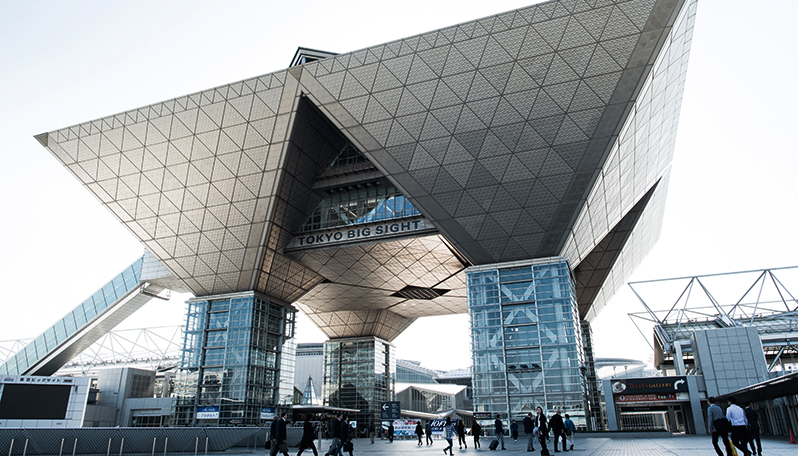 When it comes to choosing a timeframe for your visit, we recommend October for its pleasant climate and the opportunity to combine the trip with a visit to IOFT, Tokyo’s major optical tradeshow. The event also draws leading international eyewear designer, who are also making the rounds visiting optical stores. Some even set up trunk shows in stores to display their latest goods – a rare opportunity for a face-to-face. In short: Come IOFT time, the entire city revolves around eyewear! 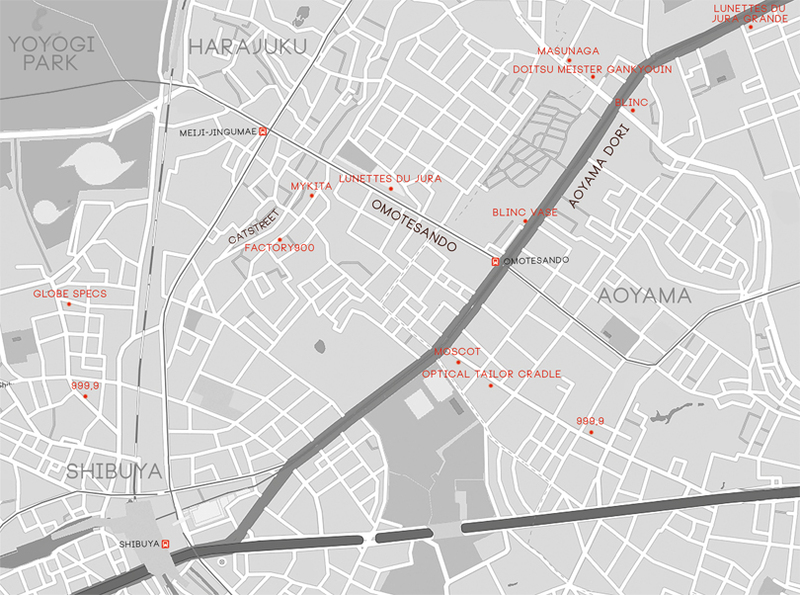 One of Tokyo’s most peculiar characteristics is the absence of a clearly distinguishable city center. Instead, several neighborhoods have become centers of their own for different themes: If you’re looking for fashion, take a stroll around the Western part of town. This is where international designer labels have set up shops, next to a vibrant scene of small independent boutiques as well as the city’s finest opticians. Getting around on foot is the best way to cover as many stores as possible, as the density of retail spaces is rather high and not much space is wasted. You’ll also get a walking tour of Western Tokyo’s incredibly diverse architecture, with game-changing buildings and an unrestrained variety of styles as far as the eye can see. All opticians featured in this guide have set up shops in the triangle between the vibrant Shibuya neighborhood, hip Harajuku and upscale Aoyama – all intersected by the pompous Omotesando avenue. And regardless of neighborhood and location, all opticians have one thing in common: They’ll greet you with incredible hospitality and politeness. If you do experience a rather muted reception, it’s most likely because of a sense of shame about lacking adequate English language skills (perceived as a major embarrassment). But rest assured, they’re happy to see you! Our shopping spree starts at legendary Shibuya Station, right next to the world famous Shibuya Crossing. This unique crosswalk lets all pedestrians cross at the same time from all directions, while traffic comes to a complete standstill. With up to 15,000 people crossing the intersection during one interval, it’s a sight to remember. Don’t get lost among the gigantic LCD-screens, billboards, and neon signs, and withstand the temptation that is Shibuya 109 department store – this is an eyewear tour! For the perfect warm-up, we’ll visit the 999,9 Flagship Store, where visitors get a hands-on introduction to Japanese craftsmanship. The local eyewear label enjoys a loyal following here in Japan, while still an inside scoop in the West. You’ll see that 999,9 with its focus on high-grade materials, precision manufacturing and attention to detail is the epitome of Japanese eyewear labels, and the perfect start of our tour. From GLOBE SPECS we head East all the way to Cat Street. Once you turn the corner, you’ll feel as if transported into an entirely different city. The buildings are lower and a sense of calm pervades. Hard to believe that the bustle of Shibuya is merely a ten-minute walk away. But Cat Street packs some punch of its own: This is where all major street wear and athletic brands have set up their flagship stores. Eyewear enthusiasts will feel right at home in the parallel street to East, where the FACTORY900 flagship store, and a bit down the street, the MYKITA store await. Speaking of MYKITA, the Berlin-based label brings its A-game by displaying its entire main collection next to all collaboration projects. Our guide is no other than CEO Moritz, who happened to be in town for an entire week. As we say our goodbyes, we take the opportunity for a stroll down Omotesando avenue, one of the prettiest streets in the entire city (perhaps the world). 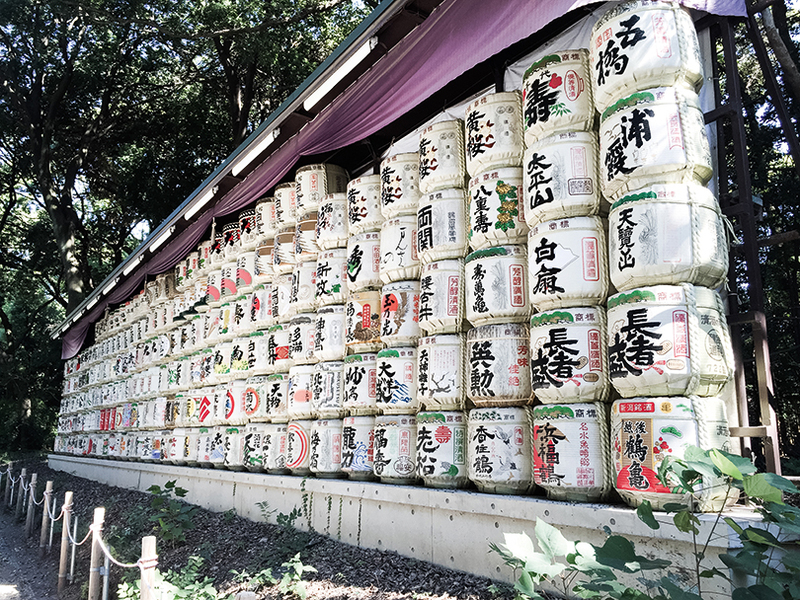 Before hitting up the next optician, we would like to steer all culturally inclined Tokyo visitors to take a small detour to visit the Meiji Shrine in Yoyogi Park. And for a stark contrast, go see how Japanese youths like to handle their shopping at Takeshita Dori – another out-of-this-world experience. 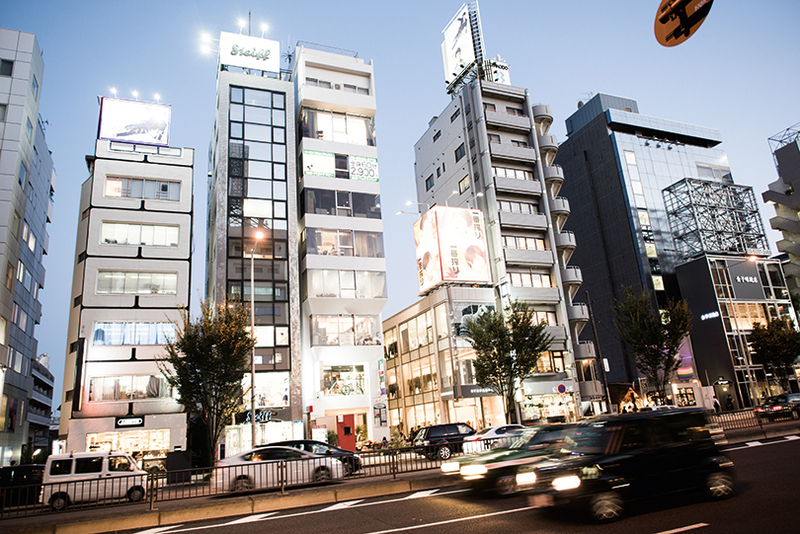 This commercial street is as loud and bright as they come, and afterwards you might be ready for the more upscale shopping experience offered at premium mall Omotesando Hill, designed by famous architect Tadao Ando. This mall also features a LUNETTES DU JURA store, where, as fate would have it, we happen to run into designer Marion Frost, who is right in the middle of a trunk show displaying her latest goods to Japanese customers. We follow the streets further to the East and take the Northern route down Aoyama Dori. Only a few steps into the street, we enter the BLINC VASE store, home to numerous Japanese labels such as Eyevan 7285 and Native Sons as well as a hand-picked selection of Western labels such as Reiz, Mykita, and GLCO. Back out on the street, we head further North to reach the main store of BLINC, only a few feet away from Aoyama Dori. Our friendly hosts are store manager Naoto Yazawa and technical manager Yasu Kato, who lead us through the generously sized store with its broad selection – more extensive than BLINC VASE – including well-familiar brands such as LINDBERG, Ørgreen, Cutler & Gross, L.G.R, Clayton Franklin, and Lunettes Kollektion. Here at BLINC, the team also takes great pride in having been the first official Barton Perreira in all of Japan. Crossing the main street, we enter DOITSU MEISTER GANKYOUIN where we are suddenly greeted in German! As it turns out, owners Hiroki and Stephanie Nakanishi have resided in Germany for a long time, and also earned their certificates as Master Opticians – thus the term MEISTER – over there. This type of craftsman qualification attracts a broad international customer base, with clients hailing from all over Japan as well as Singapore and Hawaii. Next to some labels we already encountered on our tour, the store boasts an extensive selection of German brands such as Rodenstock and Flair. One of the standout brands with premium counter space is German brand Herrlicht, for which Hiroki and Stephanie head Japanese distribution. Only a few feet away, we enter the MASUNAGA store, another big league label – not just in Japan, but with an especially large presence over here. Founded in 1905, the brand’s more than 100 years of craftsman tradition shine through in the flagship store. The purist, light-filled store interior with its steel beam facade extends over two stories of retail space, and ranges among the must-see locations on any optical tour of Tokyo. Speaking of stores that cover several stories, our next stop is LUNETTES DU JURA GRAND on Aoyama Dori. Despite the generously sized interior, every angle is covered with top notch eyewear brands, a real selection of the who-is-who in modern optical design. 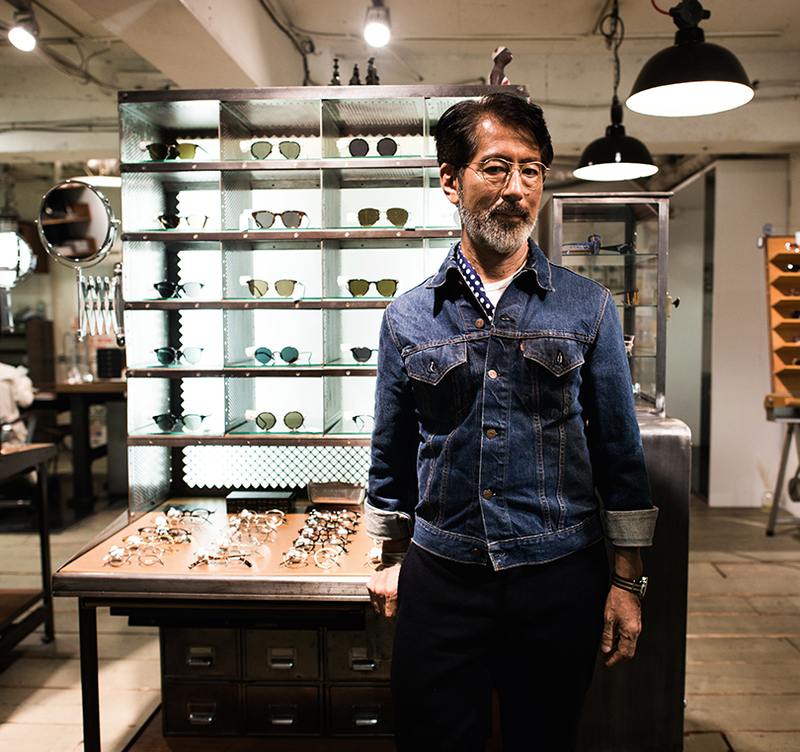 Manager Satoru Koyama proudly display their highly international selection, including glasses from ic! berlin, 3dpi, Bellinger, Ørgreen, Face à Face, Reiz, J. F. Rey, and Frost, among others. Next up, we head down Aoyama Dori towards the South. 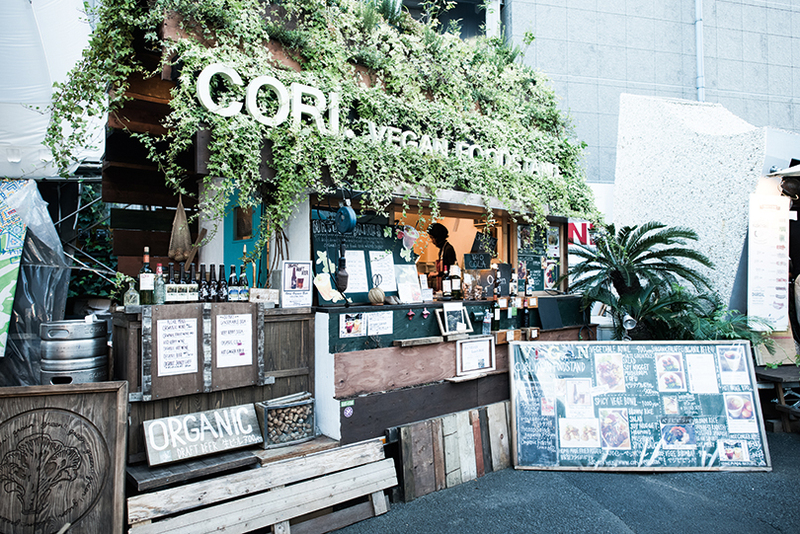 Along the way, we suggest a quick visit to a real food market in a backyard to soak in some Japanese hospitality and organic treats in a friendly, creative atmosphere. Freshly recharged, we hit up the MOSCOT flagship store, a true embassy for American eyewear tradition and full of lavishly appointed details. Only a few steps down the road we enter the optical tailor store CRADLE, another must-see on every tour. Store manager Masashi Keino leads us around the large store and points out a broad selection featuring some of the already mentioned brands next to labels such as prodesign, Thiery Lasry, Tom Ford and Chrome Hearts. Asked about major sellers at CRADLE, Masashi points out Dita and Thom Brown next to their house brand Effector, which has also been picked up by other eyewear stores. Leaving CRADLE, we set our sights on returning to Shibuya. But for those who would like to spend their evening in the energetic Roppongi neighborhood, there’s a chance to end the tour where it started, at another 999,9 store and maybe spend some time on the couch. Your feet probably need a rest and some time to digest all of the day’s impressions and unique experiences, hey, maybe with a drink. After the tour, it’s the after party – and if you’re still up for it, we highly recommend stopping by Bauhaus club for a taste of the nightlife. 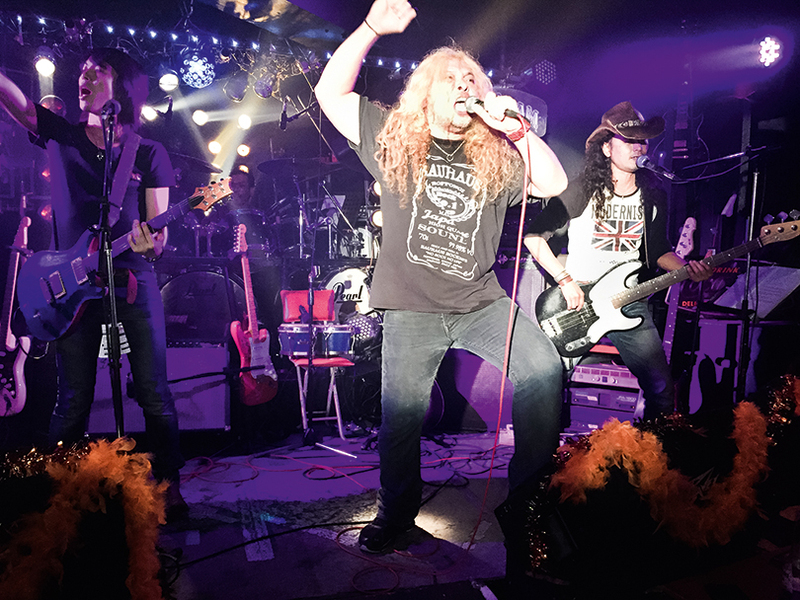 The kind of scene here around midnight is hard to put into words: Live music from another universe and a roaring dance floor offer the perfect ending to an incredible walking tour of Tokyo’s unique optical scene. Kanpei! Bauhaus in Rappongi at midnight – no comment!